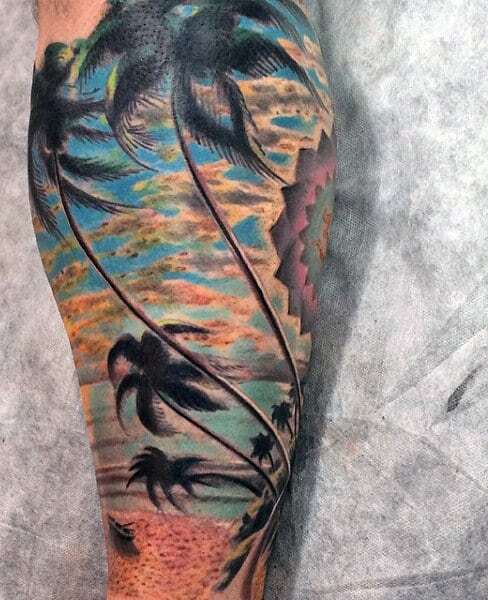 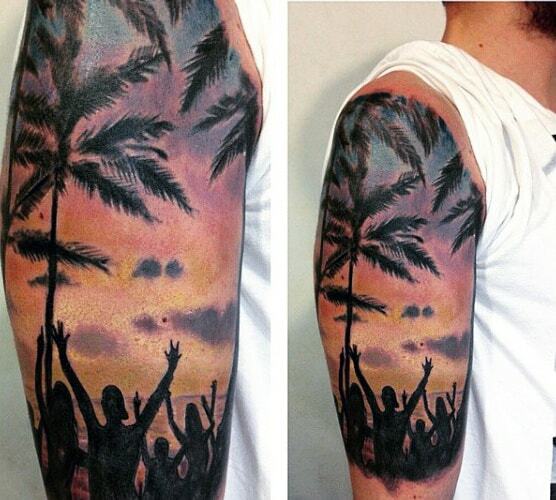 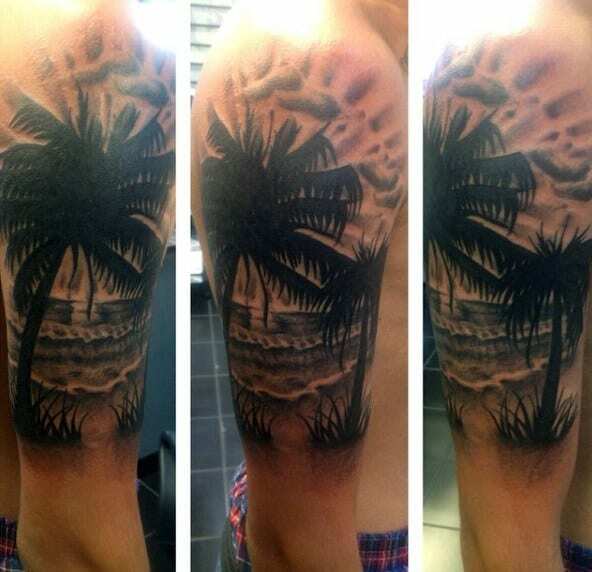 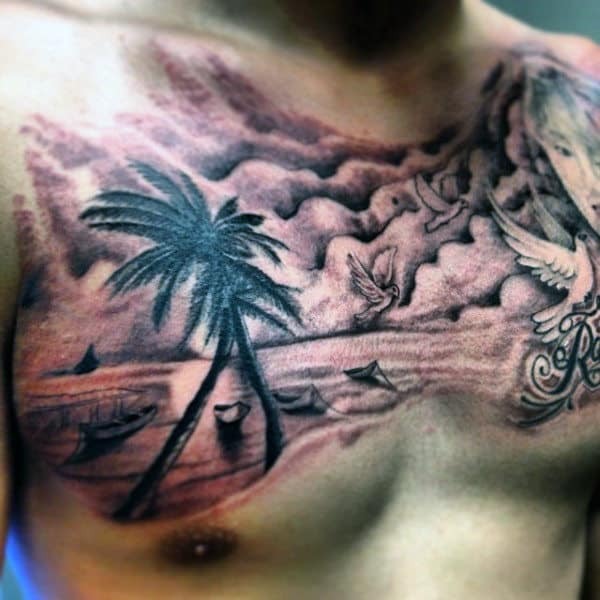 Here’s a public service announcement for men: Beach tattoos are the wave of the future. 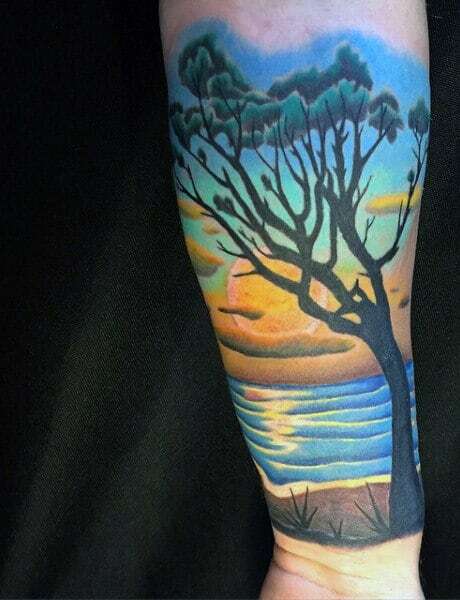 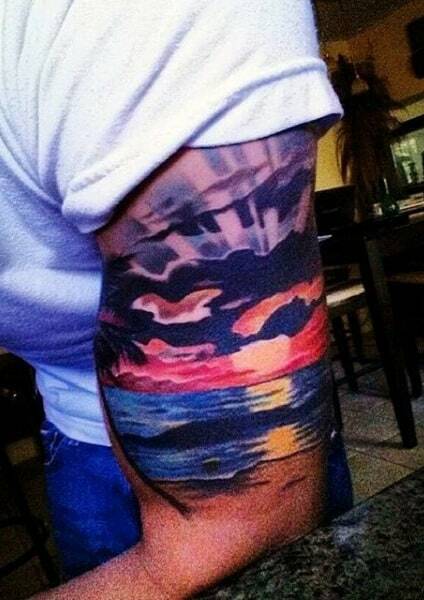 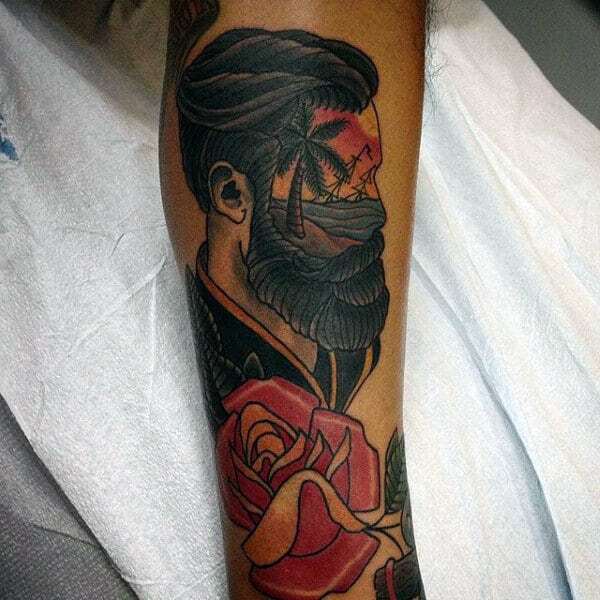 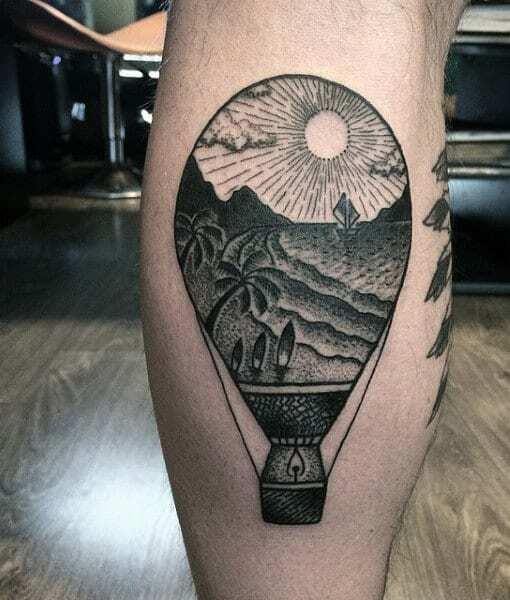 These inked masterpieces can have comprehensive detail or serene simplicity. 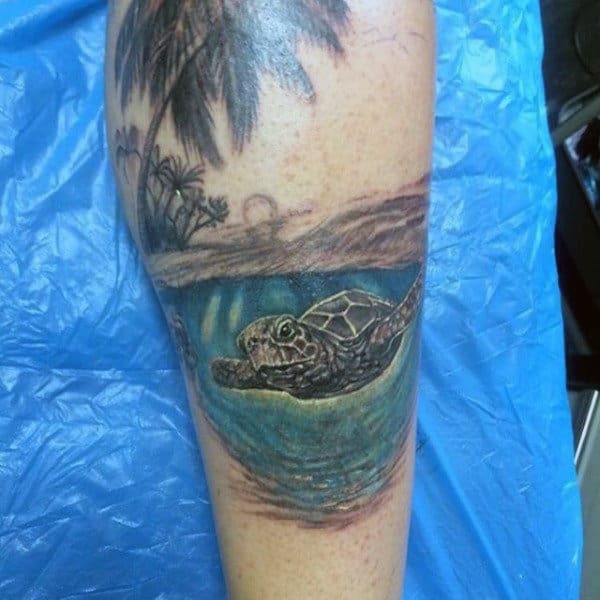 Your customization options are literally limitless. 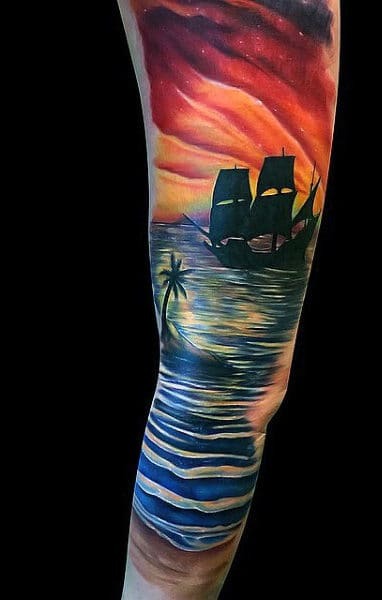 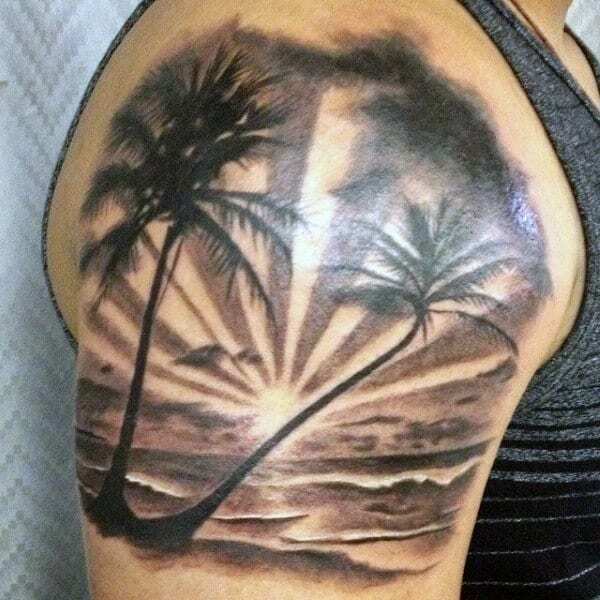 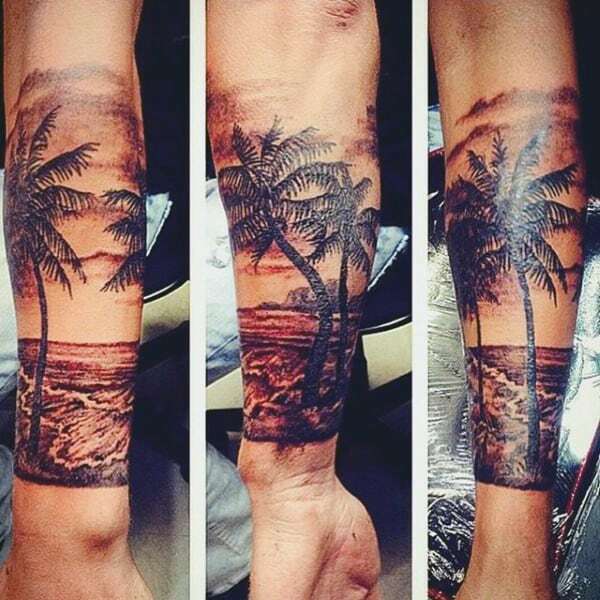 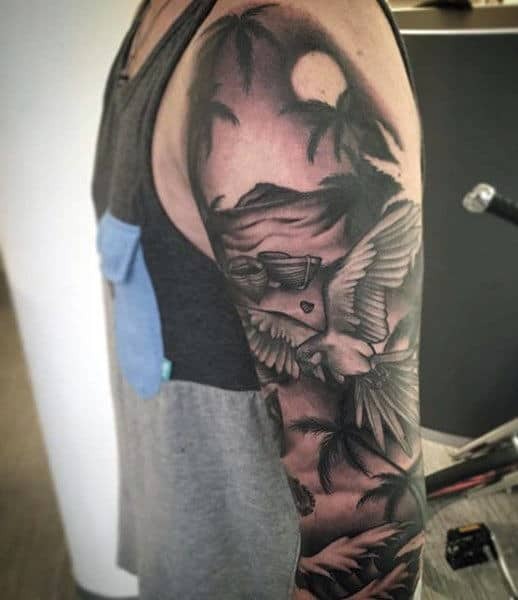 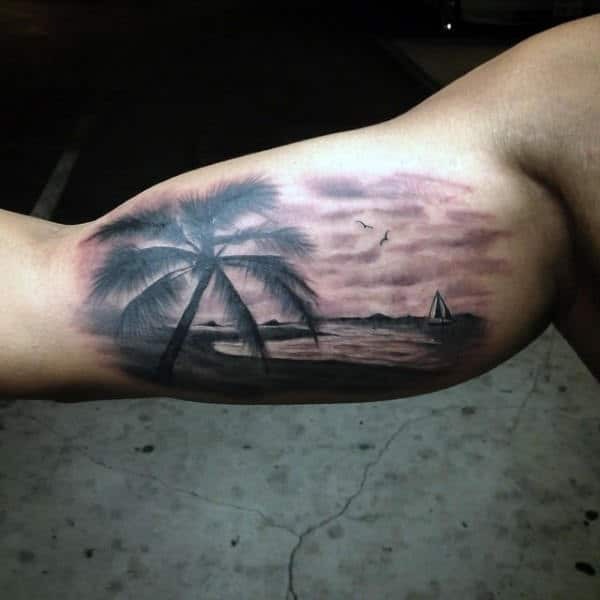 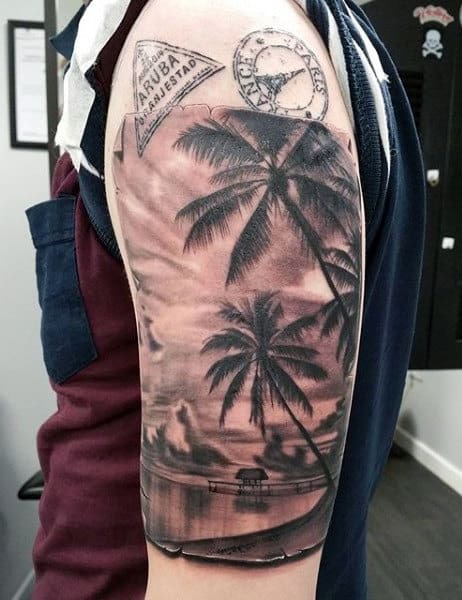 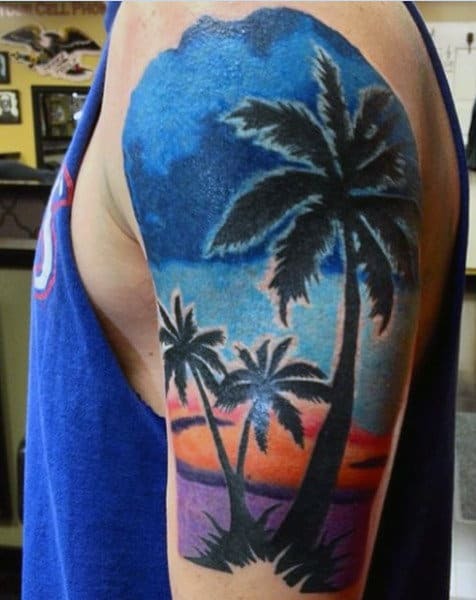 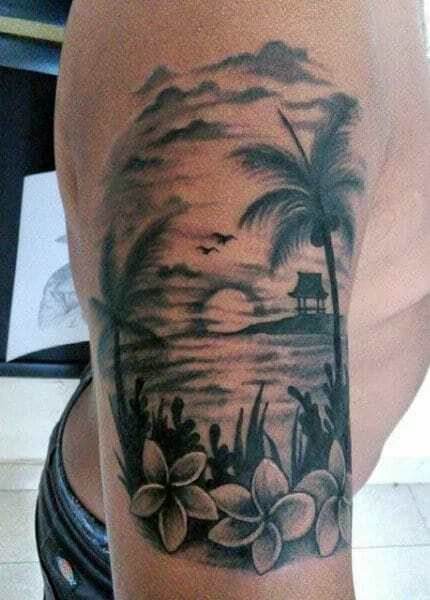 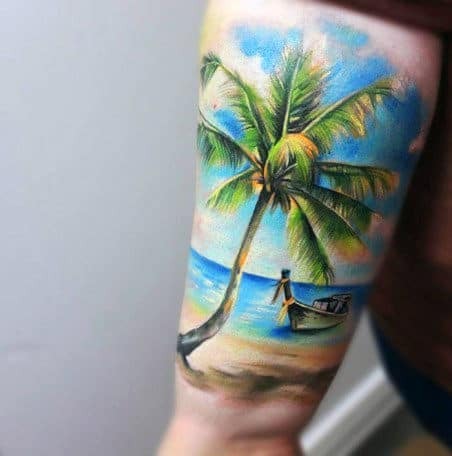 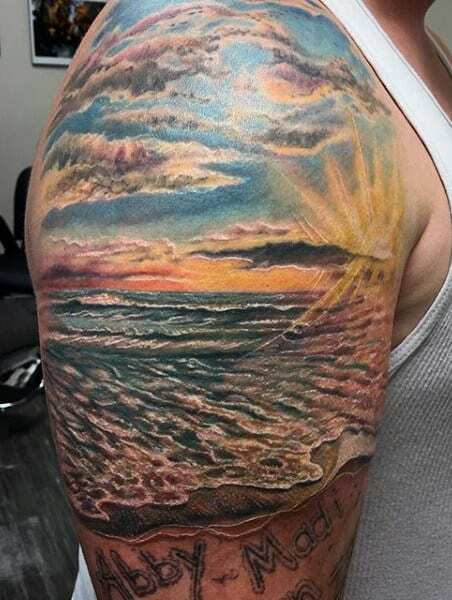 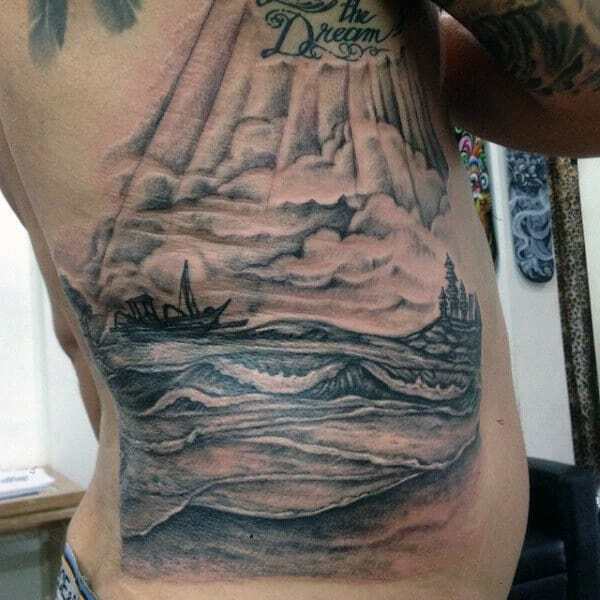 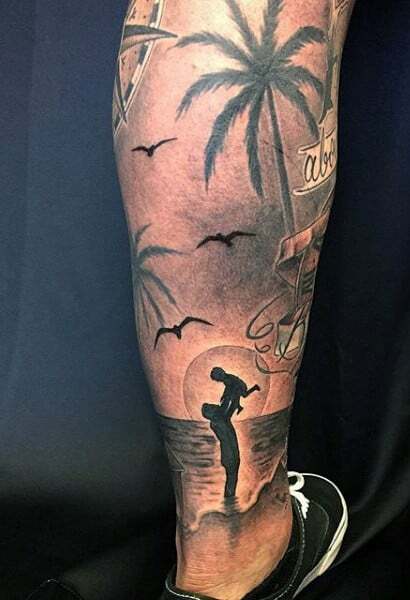 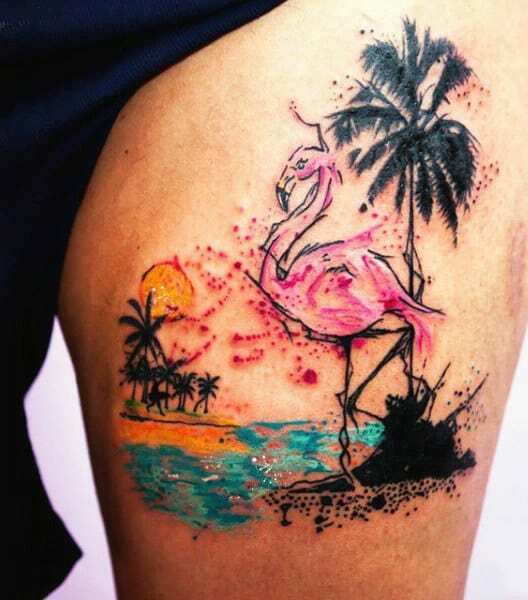 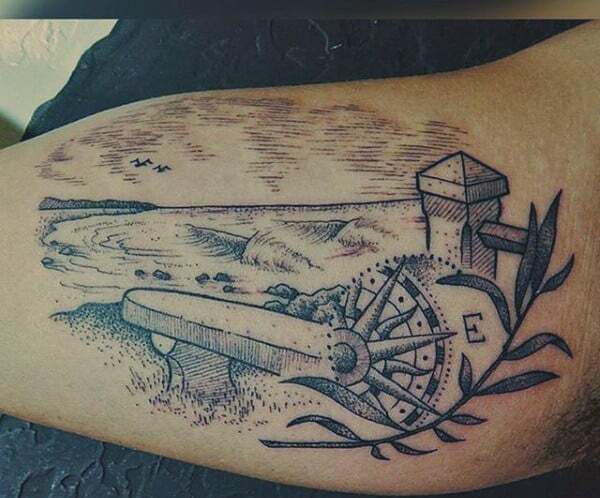 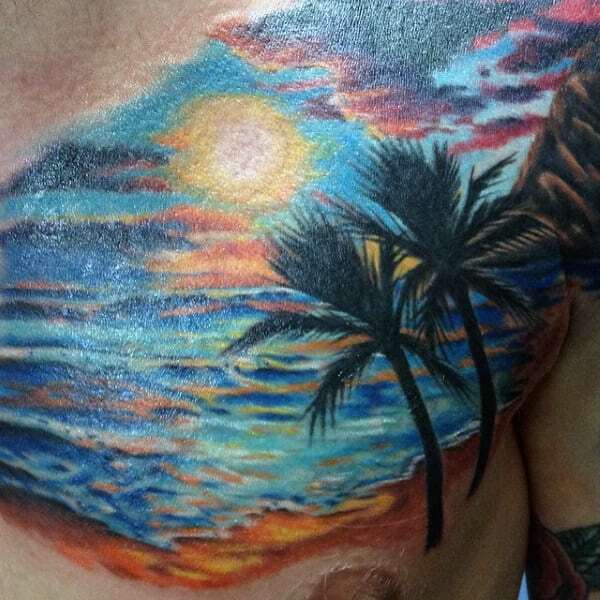 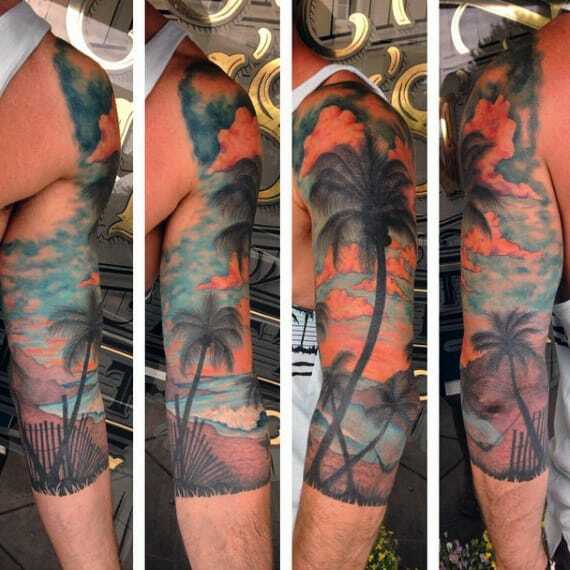 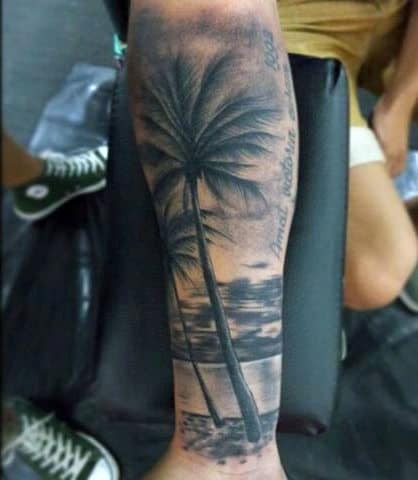 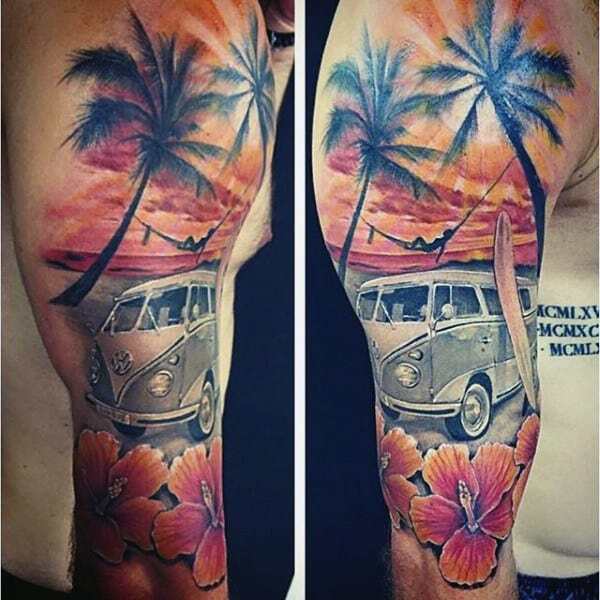 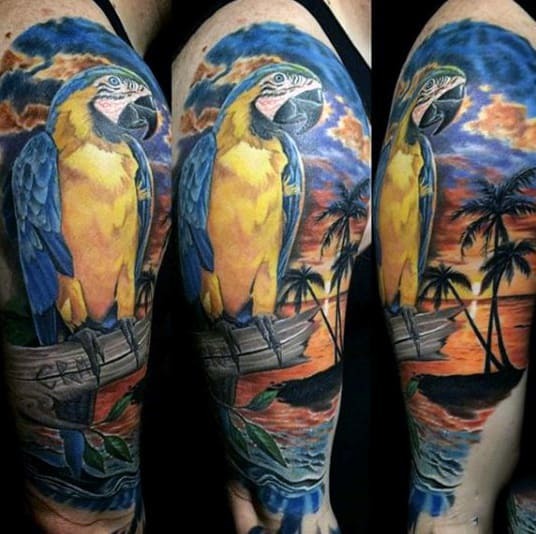 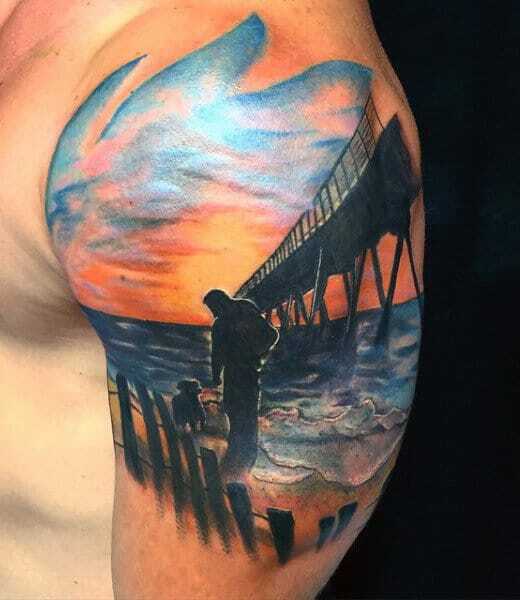 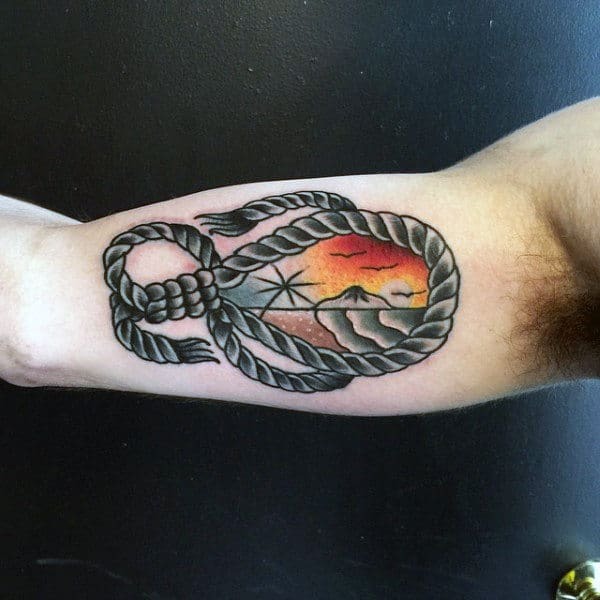 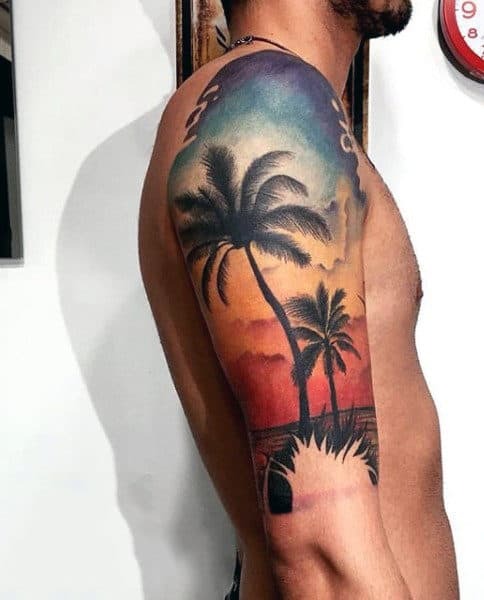 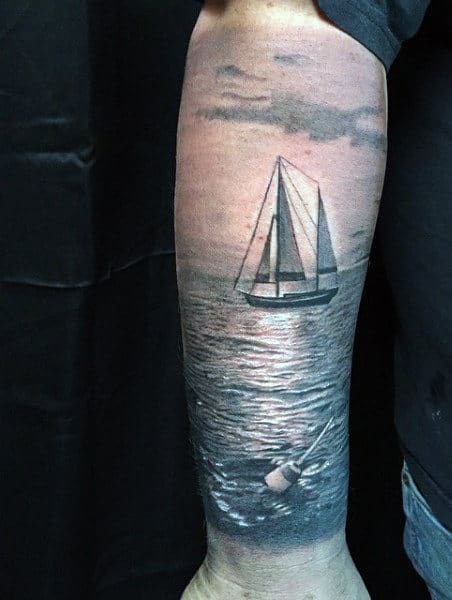 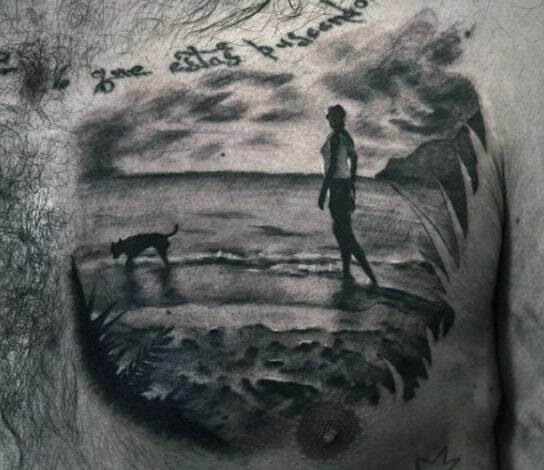 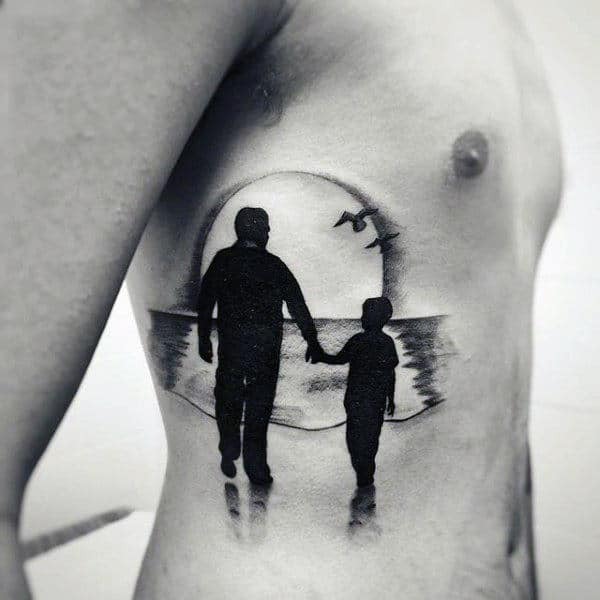 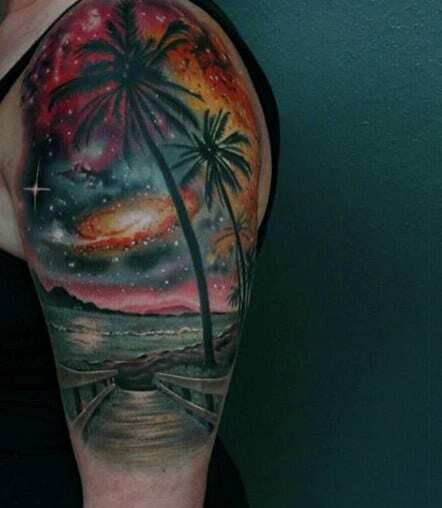 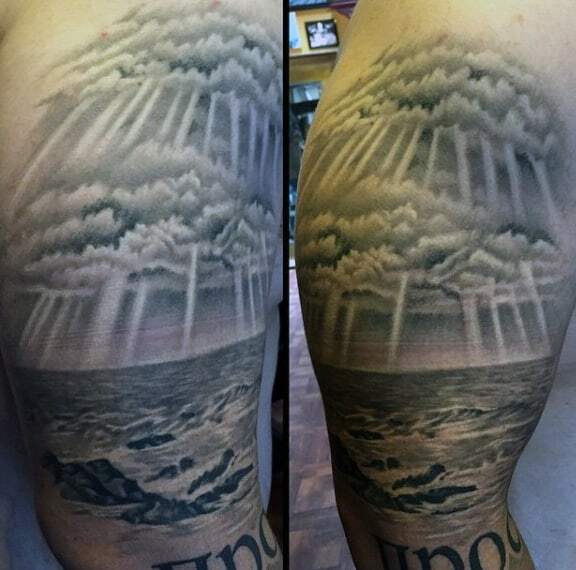 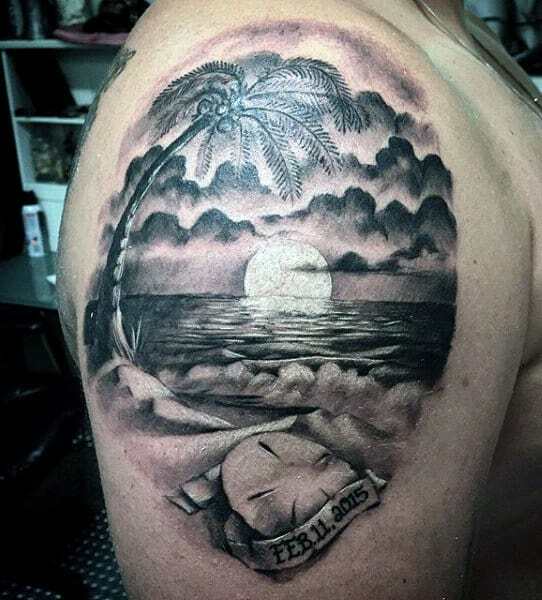 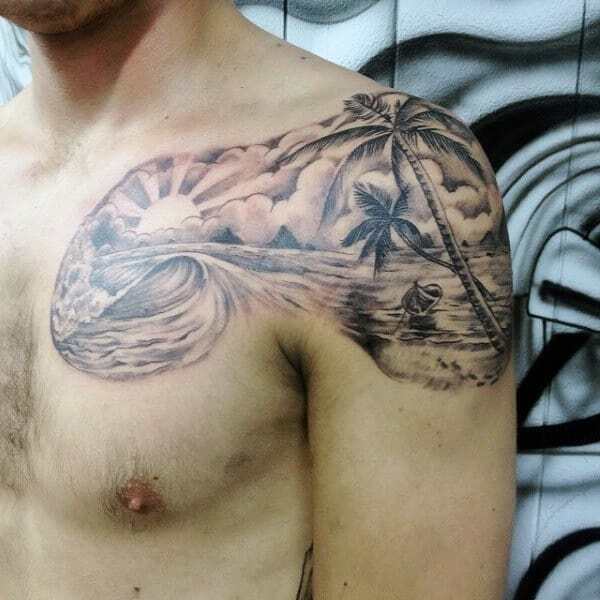 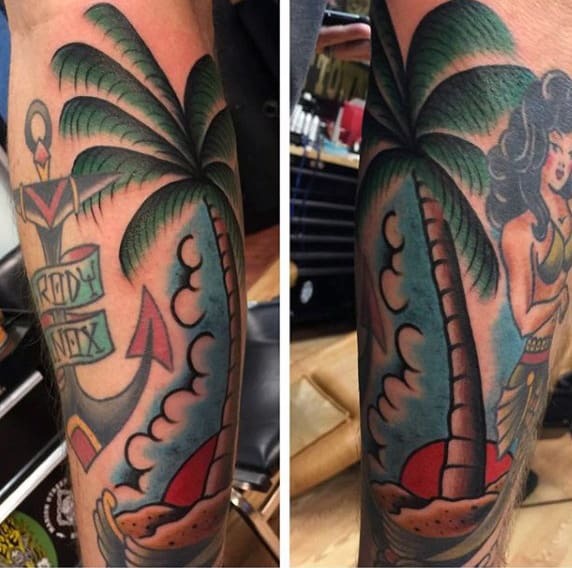 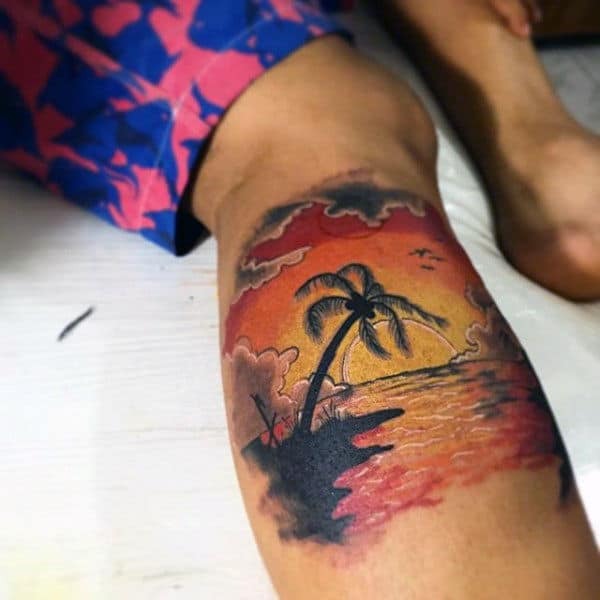 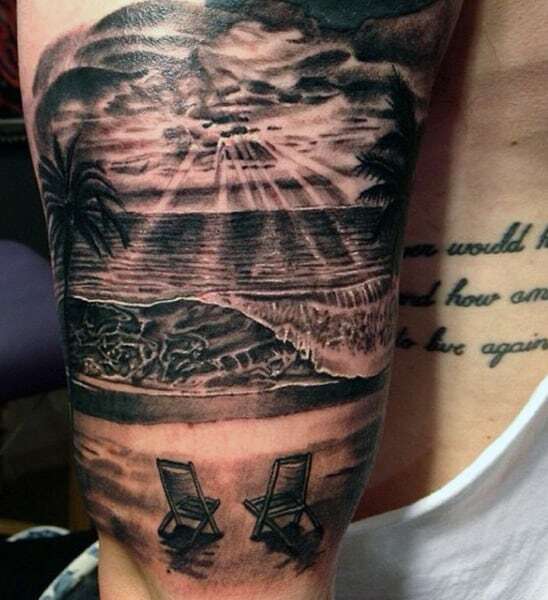 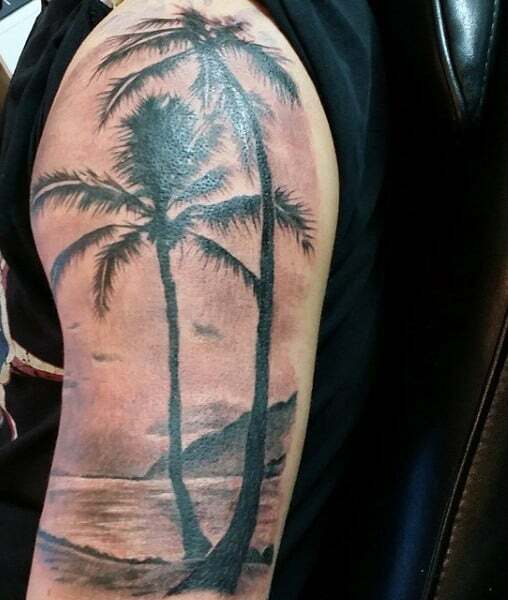 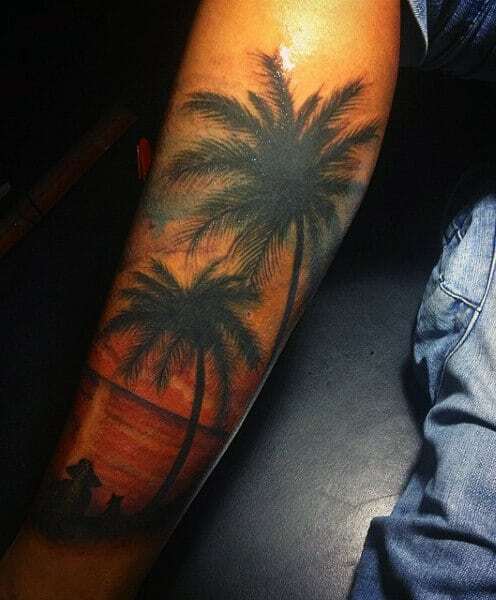 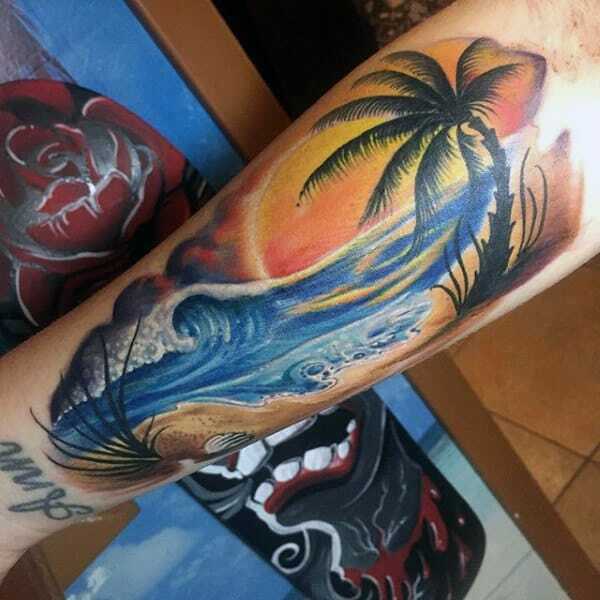 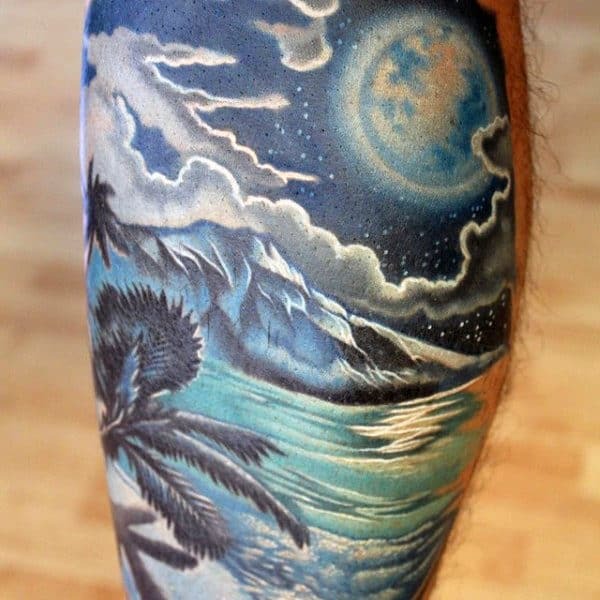 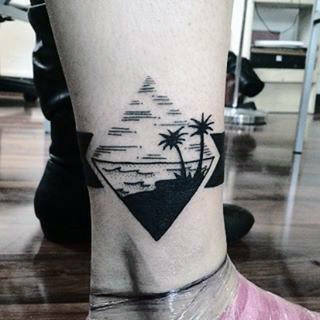 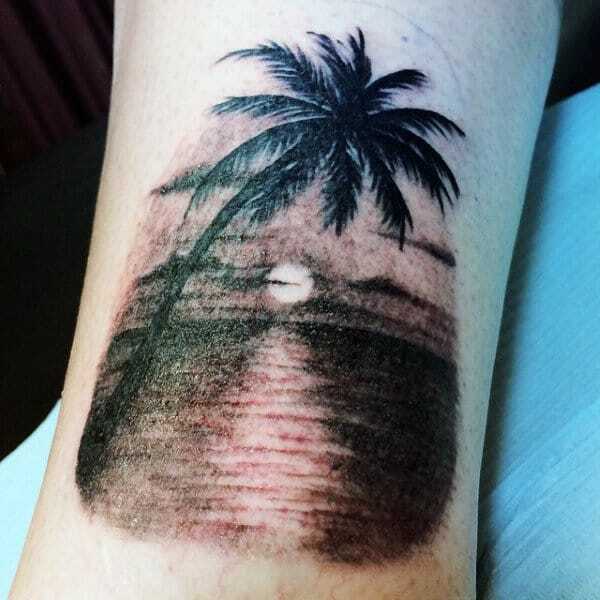 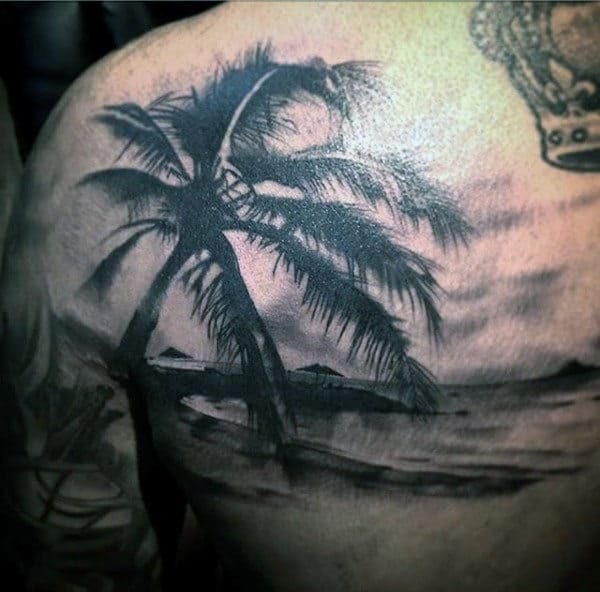 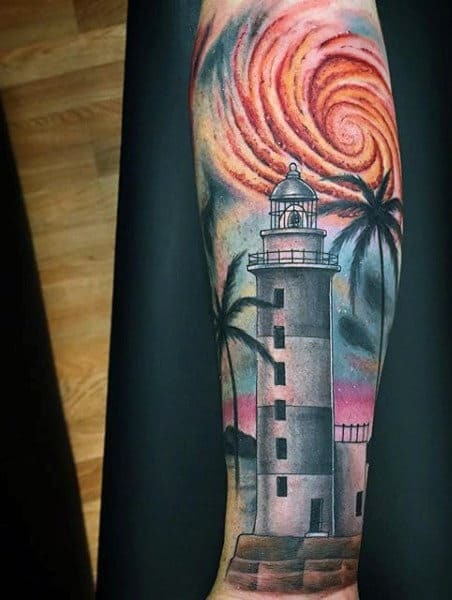 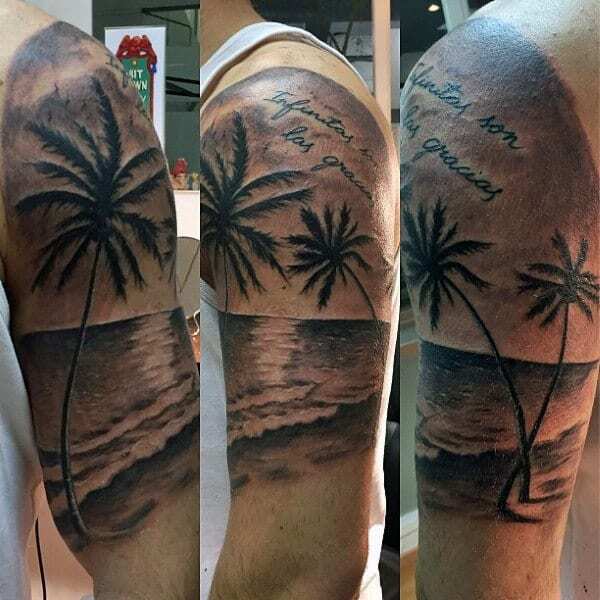 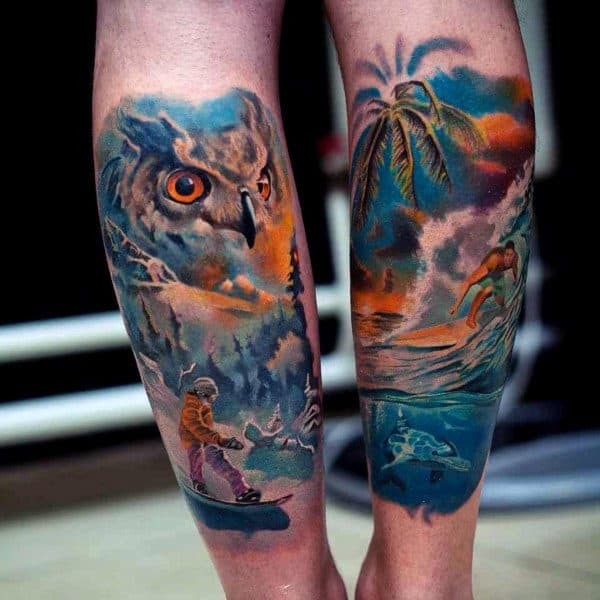 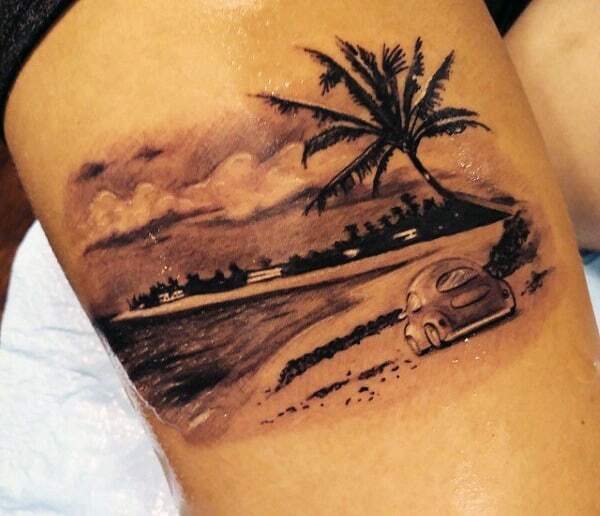 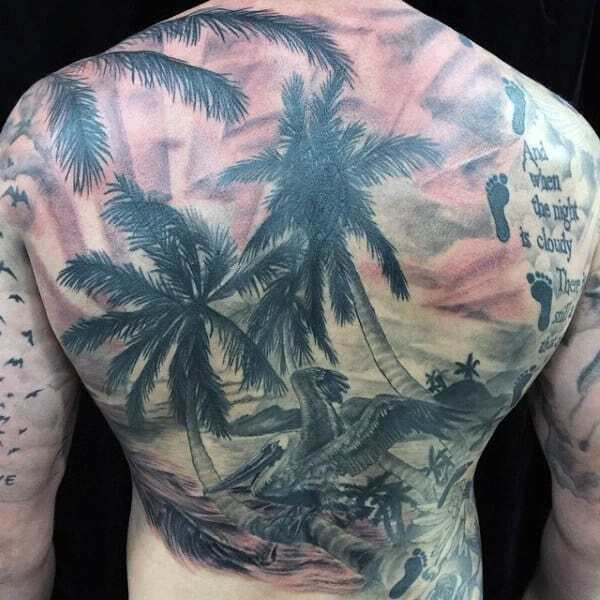 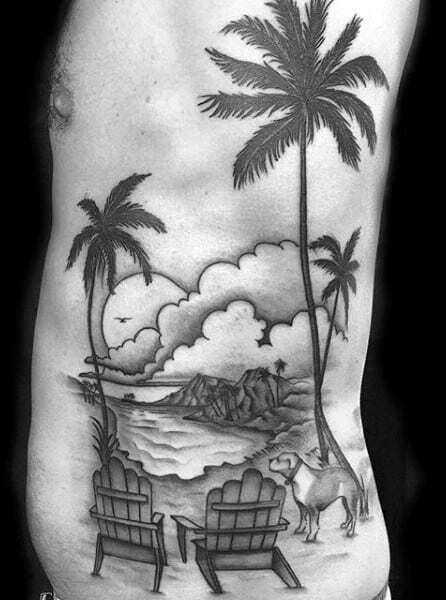 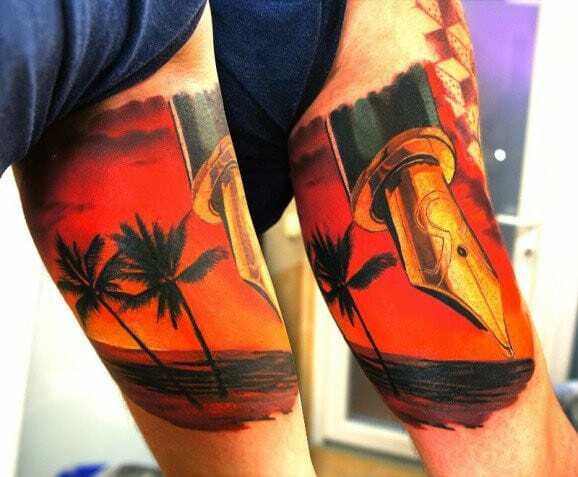 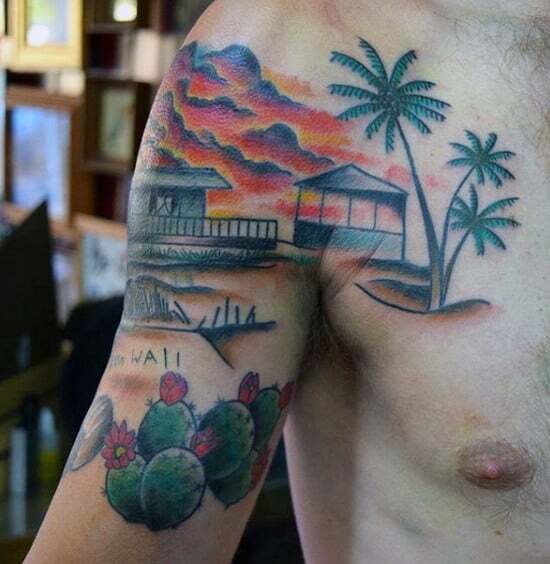 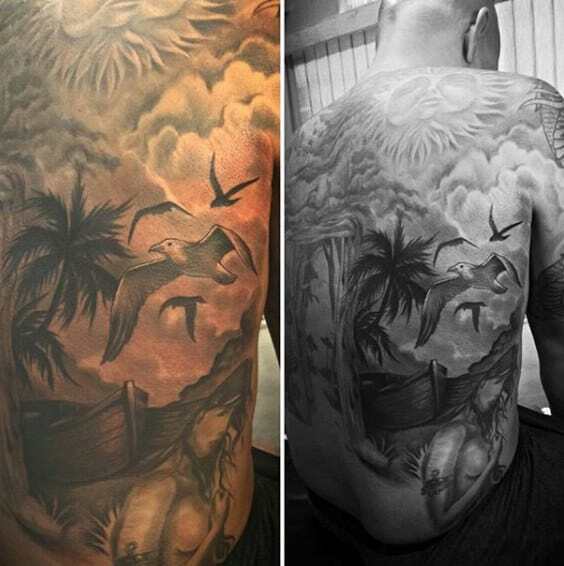 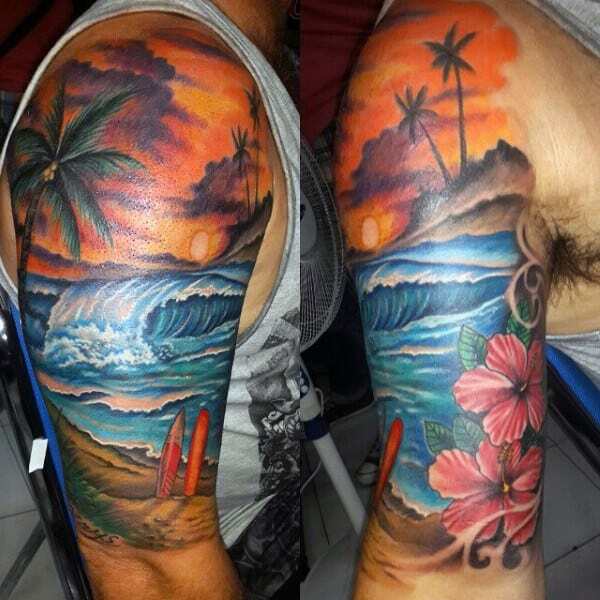 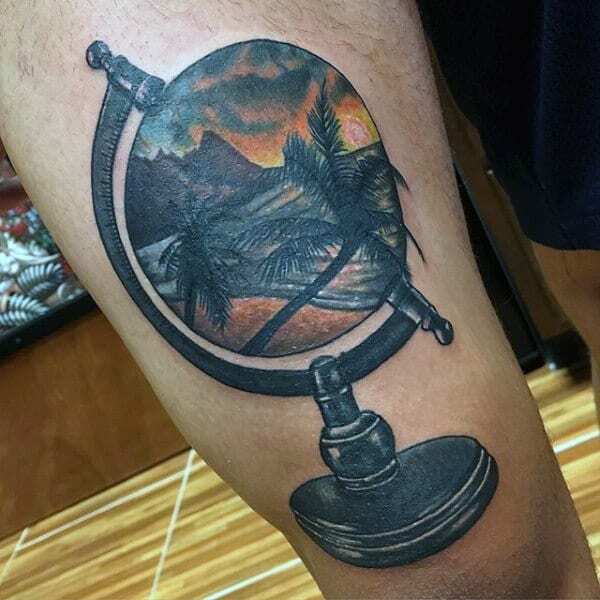 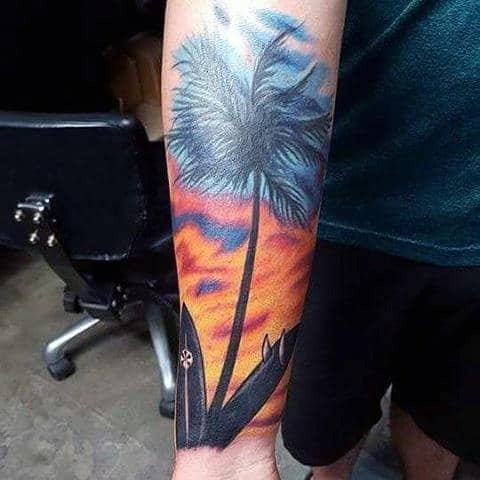 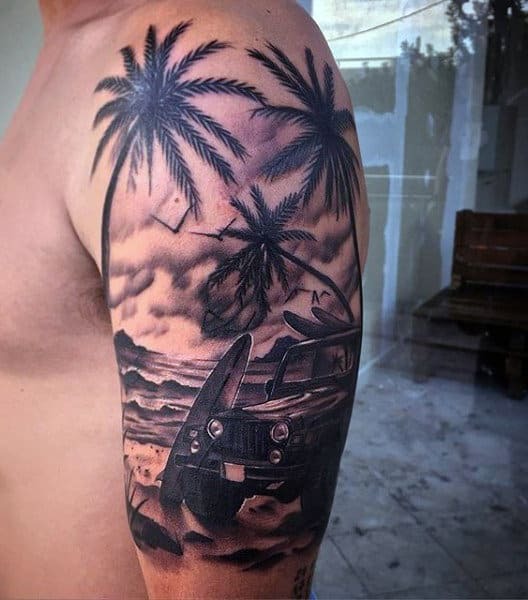 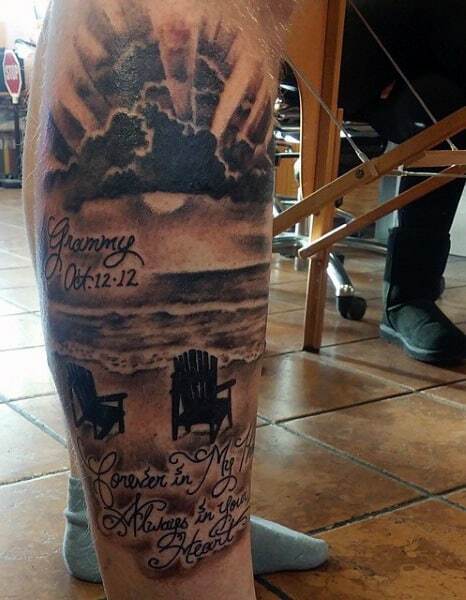 Every beach is unique, so your tattoo can be used to canonize a specific location or commemorate a tropical journey; on the other hand, you can simply design your own manly beach tattoo. 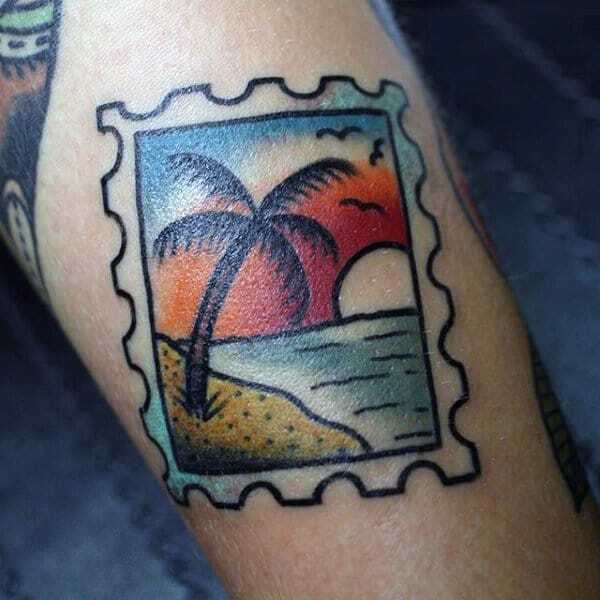 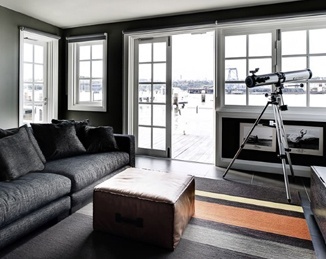 The coastal tide doesn’t have to be a real one for it to still covey sincere sentimentality. 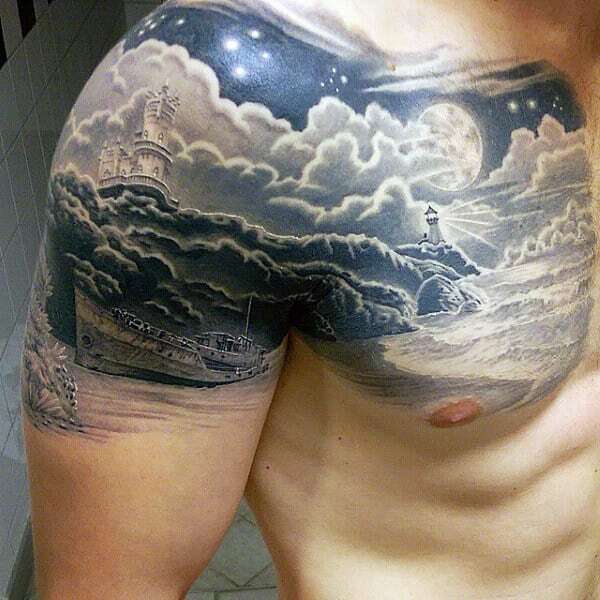 Similarly, the tide can be still or stormy based on the desired mood. 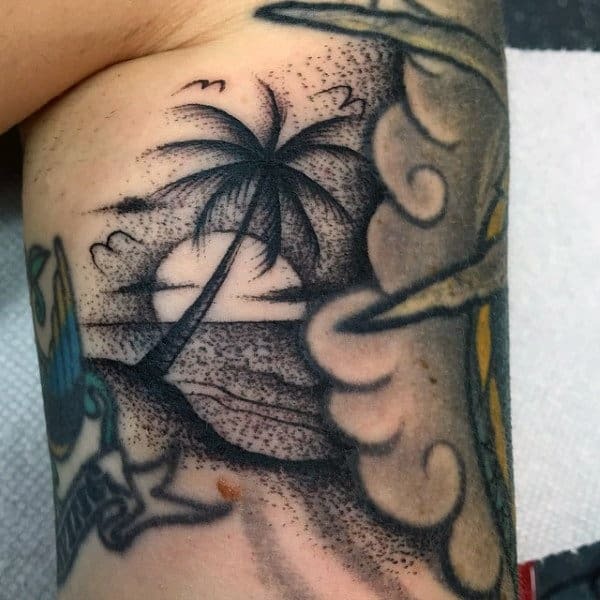 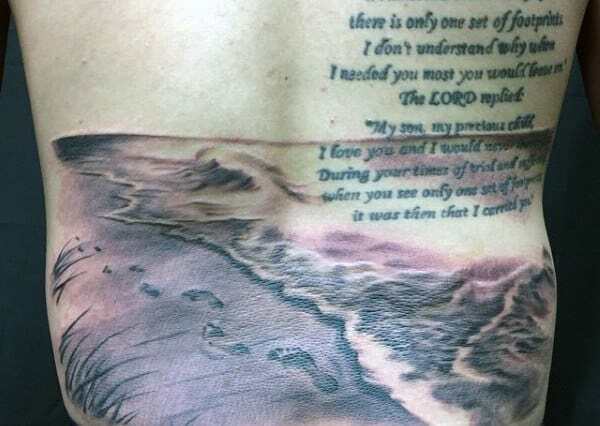 Beach tattoos are stunning all the time, but they can also be specifically linked to prideful Hawaiian and Maorian heritages. 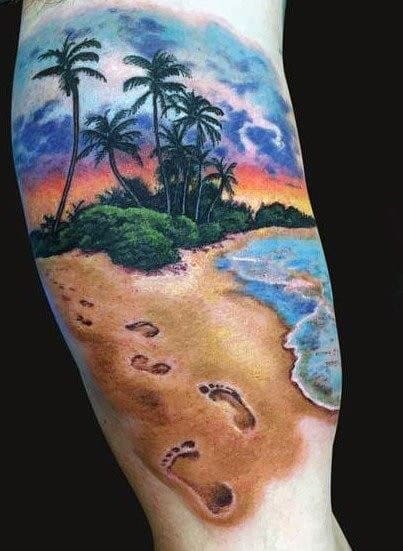 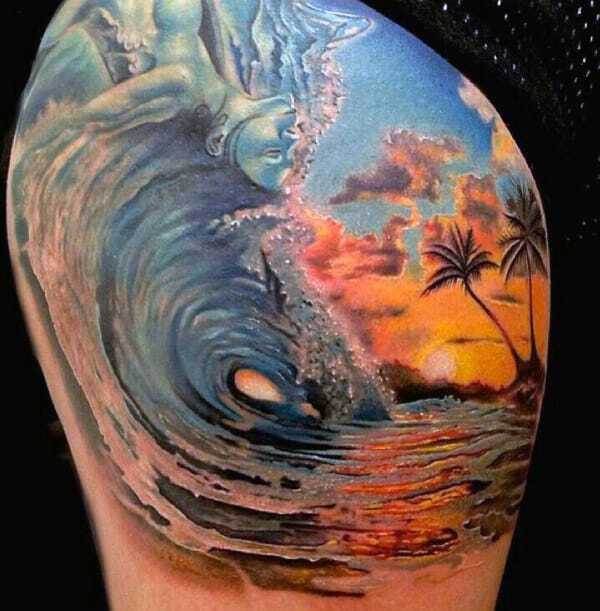 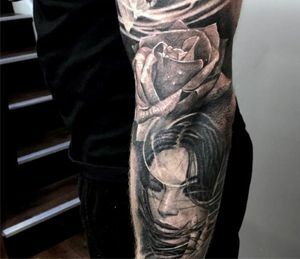 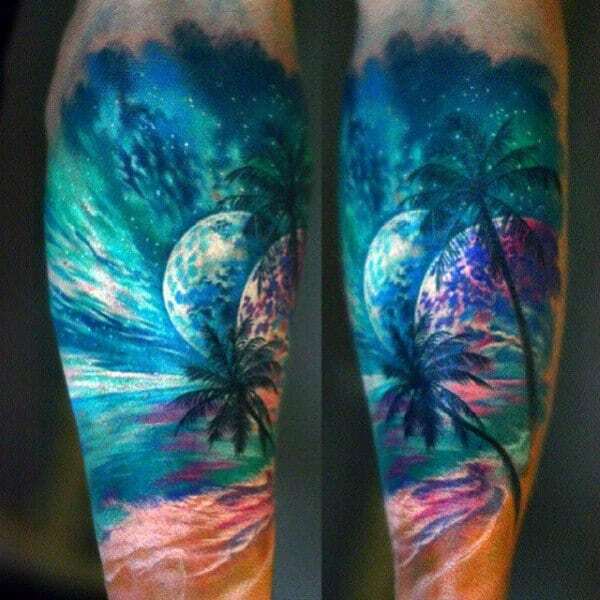 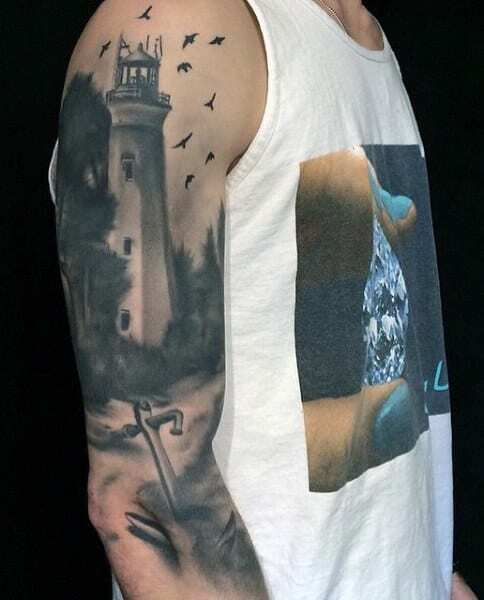 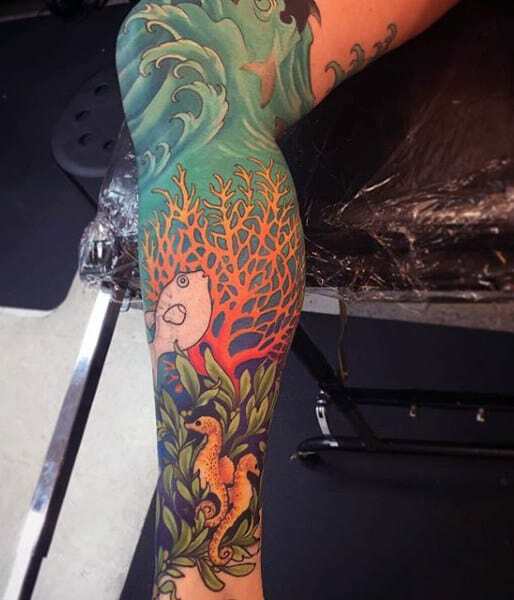 Additionally, some beach tattoos are also connected to astrological signs, particular among those who have the water elements of Scorpio, Cancer or Pisces. 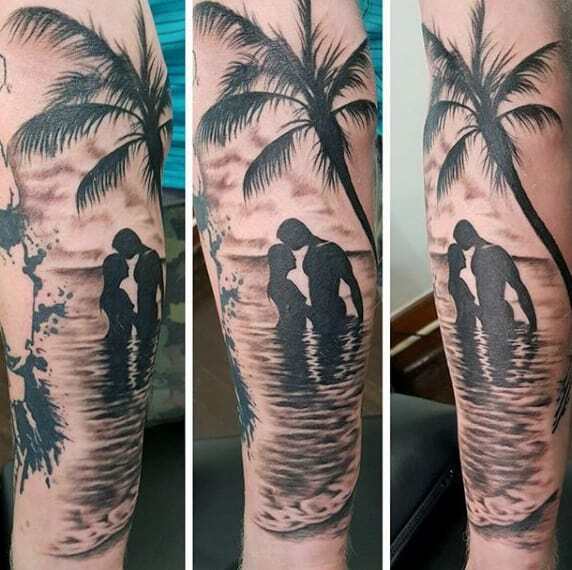 If you look at Jungian archetypes, watery imagery indicates a deep capacity for emotional connections, so they are great choices for single men trying to appear available among a receptive audience of potential partners. 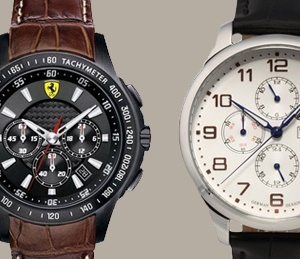 Regardless of the meaning, they are all debonair pieces, as you can witness for yourself right here!